Welcome Nick Westbrook: Our New Fit Marriage Coach! Tony and I are super excited to welcome a new member to the Fit Marriage team! Nick Westbrook, CSCS, is a husband, father, triathlete and an amazing coach and fitness expert who will add incredible value to our community. 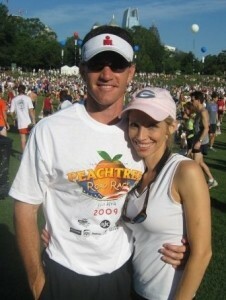 He shares our values and is committed to furthering the mission of Fit Marriage to help busy couples thrive in life. While Tony and I love to share our knowledge and enthusiasm, we know our limitations and want to provide you with top-notch training tools and advice. That’s why we’re thrilled to have Coach Nick as part of the Fit Marriage team! Coach Nick’s first project is the training plan component of our upcoming Ready, Set, Go! 5K Running Blueprint. It’s an awesome 6-week plan to take you from a non-runner to completing a 5K race with pride, all while toning up your entire body and doing it all with a minimal time commitment. If you want to get free access to this 5K program (and a growing assortment of other training programs), sign up today for the Ready, Set, Go! Blueprint library. Nick will also be contributing monthly blog posts to share his expertise (starting tomorrow), and you’ll see him around in other places on the site and The Fit Marriage Show podcast. If you would like direct athletic coaching, we encourage you to contact Nick at the email address or phone number shared at the end of this post. Without further ado, let’s meet Coach Nick in his own words. This information will be posted under “Meet Coach Nick” on the About page as well. Please welcome him! I am so excited that you are checking out Fit Marriage! It’s an honor to be part of the team here and have the opportunity to add a new dimension to the resources that Tony and Dustin already provide. My name is Nick Westbrook, and I am Brooke’s husband, Laney and Hallie’s dad, and a fitness/nutrition/athletic performance coach to many student athletes and life-sport driven adults. 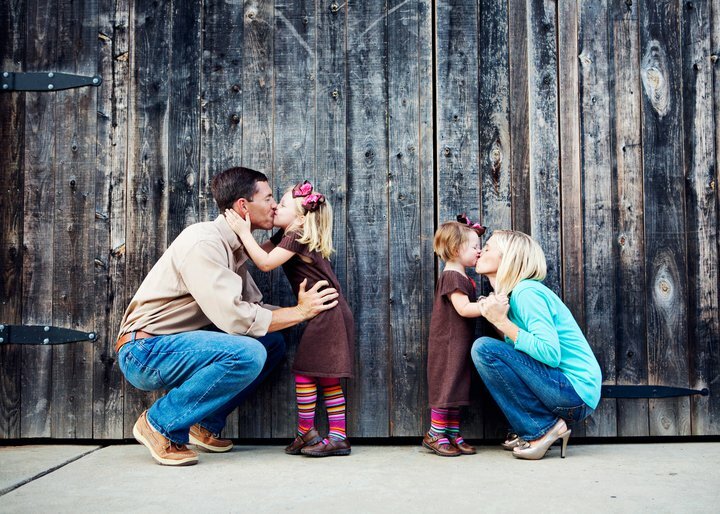 My wife and I have enjoyed 7 years of marriage and spend our time pouring our life and energy into our two daughters, finding creative ways to be active together, and cheering on the Georgia Bulldogs. In the last 18 months of our marriage, we have come to truly appreciate the pursuit of a full life together as my wife battled through cancer at the age of 30. After more than a year of being shut down physically by surgeries and treatments, we now want to take full advantage of the great enjoyment we gain from being able to run on beaches, swim in the ocean, and breathe in the crisp morning air from a bike ride. We have come to realize that all of these things have been given to us to enjoy, so we want to take full advantage of them! The best way to do that is to be in the best physical shape we can be in and to not take good health for granted. We want to enjoy each other, our friends, our children, and eventually our grandchildren for a very long time. So we see it as vitally important to invest in ourselves now so we can enjoy them much later down the road. I now find it my aim to help people achieve their highest fitness goals. After coaching and consulting many people, I have found that oftentimes people are happiest in their life when they are at their best physical condition. When a person has overcome some obstacle in his/her life by issuing self motivation, personal control, discipline and restraint, they experience more confidence and success in every area of their life. I strongly encourage my clients to set competitive benchmarks and goals along their fitness journey. You should always have something that you are striving towards. “Being more healthy” or “losing some weight this year” are not goals at all. Completing a 10k running race or cycling in a half century ride is! These kinds of aspirations will help you get out of bed in the morning and get yourself in gear to prepare yourself for an epic “finish line moment” in your life. These are the kind of moments that ultimately define us. How we train for them defines our fitness. My passion for coaching, leading and inspiring people to accomplish their highest goals was instilled in me in high school when one of my coaches spent some individual time with me and helped guide me to becoming the athlete and person that he knew I could be. It became evident in my life that I wanted to help people realize that their dreams and goals could become a reality. I soon found that by helping them create a vision, a plan and form disciplines in their life, people could accomplish more than they ever thought possible for themselves. After completing an athletic career in track and field, football and baseball, I received a degree in Exercise Science in 2003. I then began my coaching career at a high school in the Metro Atlanta area. I soon became focused on athletic development and performance training. I pursued and achieved the distinguished Certified Strength & Conditioning Specialist (CSCS) credential from the National Strength & Conditioning Association (NSCA) in 2005. I then served as the Director of Athletic Performance at my current school and served as a part time Assistant Strength Coach at Georgia Tech. I had the opportunity to work with some very gifted athletes in a variety of sports. I have written training programs for hundreds of athletes from the professional level to youth sports. I was fortunate to be able to send at least one student from every sport represented in our school to a NCAA Division I program to participate in athletics. I then moved into the private business industry and began coaching student athletes and adults in competitive and functional fitness and performance. Because of the demanding mental challenges it requires, I became enamored with the sport of triathlon and began to study the sport and go into training. I had experience as a competitive runner but had no competitive experience in cycling or swimming. I spent the entire year of 2008 becoming proficient in those disciplines. I began competing in 2009 and saw success very early on, placing 2nd in my division in only my second race. 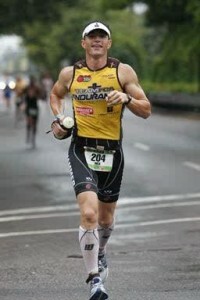 In 2010, I was fortunate to stay healthy all season and finished in the Top 5 in nearly every race I entered. I believe that my background in athletic performance was a key factor in my early success in the sport. I firmly believe in the vision and mission of Fit Marriage. Tony and Dustin are providing an invaluable service to couples by helping them engage in one of the most noble and desirable aspects of marriage: helping their partner be the best he/she can be. I am honored to be a part of the team and I am inspired by anyone who takes the challenge to achieve things they once thought were never possible. I would love cheer you on to your “finish line moment”!